In gambling, there are many systems in use with the aim of beating the house. 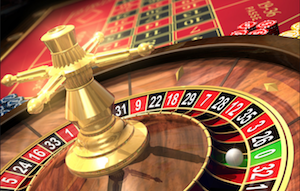 Many of these strategies make use of even money bets, and as such, roulette is deemed the ideal platform to play these betting methods. One such system was devised by French Mathematician Jean le Rond d’Alembert in the 18th century. 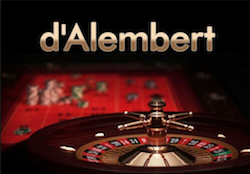 Hence, the name, d’Alembert Betting System. In some ways, the system is similar to the Martingale system. In both strategies, the bet is increased after a losing round. Although this method offers a less severe step up in bet size. In this piece, I explore the system created by the French mathematician – the d’Alembert betting system in depth. I start with an explanation of how the d’Alembert system works and give a couple of examples. I move on to look at both the advantages and the disadvantages of this betting strategy. We’ll wrap up with an overview of the d’Alembert system and some conclusions. Having done this, the method has been successful. You’ll walk away with a profit. 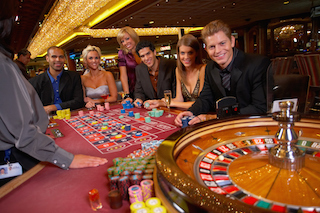 When betting with this gambling strategy, you’ll bet on an even money bet on the roulette wheel. This could be odd/even, 1-18/19-36 or perhaps the more popular red/black bet. So, you’ll start by betting your initial stakes on the even-money shot. If the bet wins, you have your one bet profit, so you’re done. Important: It’s not always that simple, as you’ll obviously suffer losses. Rule #1: Every time you lose a bet, you’ll increase the bet size by one unit. Rule #2: Every time you win a bet, you’ll decrease the bet size by one unit. Rule #3: When you are in profit by one bet, the system is complete. $3 Win +$2 – Stop! One of the biggest advantages of using this system is that in the short term you’ll generally expect to make a profit. You’ll obviously make a profit if you win more often than you lose. But you’ll also make a profit if you have an equal number of wins and losses because the stakes increase when you lose and decrease when you win. Looking at example one, you can see that a profit was made despite only winning three times out of seven, so the system also offers some resilience against losing runs. The other advantage of the system is that it is relatively gentle in comparison to other systems. The amounts you’ll be betting will not quickly become out of hand. Contrary to what you might find when using a system like the Martingale, where you’ll multiply the stake by two each time. Another advantage of using this system is that it offers some discipline to your betting, adding organization to your staking, instead of adopting a random approach. The problem with this system comes along when you have a bad losing run. In example two, you have played eleven times and lost eight of these spins. Although unlucky, this kind of run is far from unusual and you finish with a loss of $12. Imagine if you had carried on for a further three spins of the wheel and they had all lost. Your overall loss would now be $33 and your next bet would be for $9 – it would take a very good run now for you to get back to profit. Considering that your aim is to win just $1, being down $33 is quite a hole to be in. As with any system, you might get to a stage where you won’t actually be able to continue, due to either your funds running out or the casino not allowing stakes of the size you want to bet. In comparison to some other systems, the d’Alembert system has some advantages. Due to the small increments in betting, you’re not going to go broke quickly. As such, you should enjoy more table time and –in the short term– you are likely to be successful. Obviously, there is a danger of you losing a lot more than you ever intended to win. Putting in place a stop loss would be a very good idea. You should also understand, that in the long run, the house edge at roulette can never be beaten. Therefore, any system should only be played for fun and not with the intention of making money.